Description: This mod allows you to call a towtruck pressing action+sprint (TAB+SHIFT). 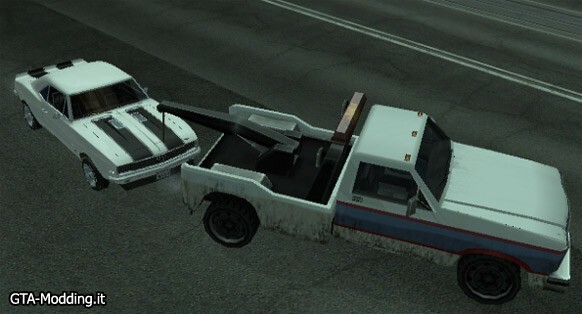 A nice match for this mod is the fuel one, so if you are out of fuel you can call the towtruck, tow the car to it, and bring the car to the fuel station. This mod needs cleo library.